A Year of Being Here: Li-Young Lee: "Become Becoming"
Wait for the playground to empty. and pretended to be invisible. The one to whom you told every secret. The one who made a world of any hiding place. Is the universe an empty mirror? A flowering tree? Is the universe the sleep of a woman? (the color of your homesickness). Then you’ll know the answer. Wait for the air’s first gold (that color of Amen). Then you’ll spy the wind’s barefoot steps. 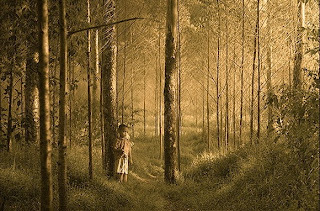 with a child who strays in the woods. is not his father’s face. are not his mother’s hands. to the names your mother and father gave you. Soon, those names will travel with the leaves. Then, you can trade places with the wind. each page read by the light of its own burning. "Become Becoming" by Li-Young Lee, from Behind My Eyes: Poems. © W. W. Norton & Company, 2009. 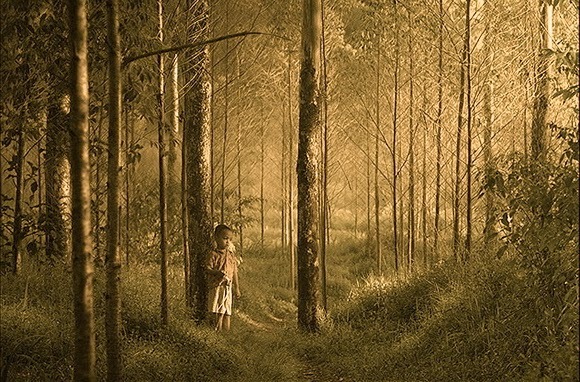 Photography credit: "West Java Boy," taken in Ciwidey Forest, West Java, by G8 (originally color).